Workplace Bully: How Many Do You Have? Last year, while working with a client, I met with a manager to discuss organizational issues, I realized that she might be a bully via her conversation. She made statements to me like, “I told Sally if she did not like the way I managed the staff, then there is the door.” Other statements she made to employees included: “I hired you, so I can fire you today” and “You have been here long enough to know better” and “He is not management material so I told him that” and “I yelled at John over and over and he still doesn’t get it right!” and on and on. Needless to say, I was very alarmed by the conversation. 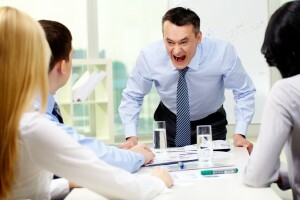 Bullying causes an unhealthy workplace and creates a hostile work environment. This can be costly to the organization in health costs, absenteeism, low productivity, and costly litigation. Bullies are scary, shocking, humiliating, and embarrassing; yet bullies are unfortunately tolerated in the workplace far too often . Why? Because the company doesn’t want to have to deal with the bullies and doesn’t want to rock the boat. Often times employers don’t want the attack, the conflict, the discomfort. So the bullies keep the same behavior and others either pretend they aren’t wreaking havoc or grit their teeth and tolerate them. Evaluate/assess the Situation. I quickly evaluate the situation objectively. Is this person really a bully or are they having a bad day. Observe how the behavior affects others. Usually the bully causes workers to become withdrawn, fearful, and/or stressed. The culture is usually affected by the bullying behavior. Tell the “bully” to stop! I sit down and have a discussion with the perceived bully about the issues, and present policies and pertinent laws to him or her. Train the bully. I typically train the entire staff to ensure they are educated in the proper way to conduct themselves as well as how they can expect to be treated in the workplace, i.e., with respect. If the bullying persists after completing the above steps, unfortunately we must move to disciplinary action up to and including termination. Remember, when we are remiss in dealing with a bully, the problem magnifies and we could have a huge lawsuit on our hands. Let me pose this question to you: Do you have a bully in your workplace? The answer is probably a resounding yes. I urge you to contact me. Don’t lose profits. I can help. Previous Previous post: Are Your Background Checks Legal? 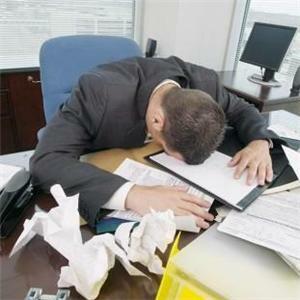 Next Next post: HR Audits: 3 BIG Reasons to Conduct One Today!